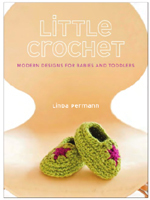 Lindamade » New Patterns + A Winner! 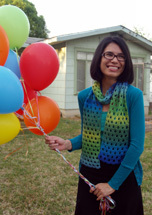 New Patterns + A Winner! First things first, the random number generator picked 3, which means that Connie (who wants to learn Tunisian) is the winner of the book. I’ve emailed her so that she can claim her prize. Thanks for all of your answers about what you want to learn, it is always interesting to know! I’m hanging out in Austin this week with my nephew, and was going to post a picture of the shawl that I started yesterday just for fun-BUT- I left it in the car. Which is now back in San Antonio….which means I can’t show it to you and I won’t get to work on it. Whine. 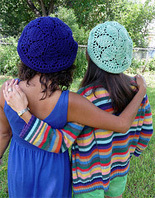 In the meantime, I’ll share these pictures of my newly available pattern PDFs. 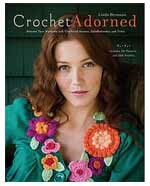 These projects were previously published in Inside Crochet mag, but these PDFs are written in US Crochet Terms. Here I am modelling them in 100+ degree temps. It has been one HOT summer. 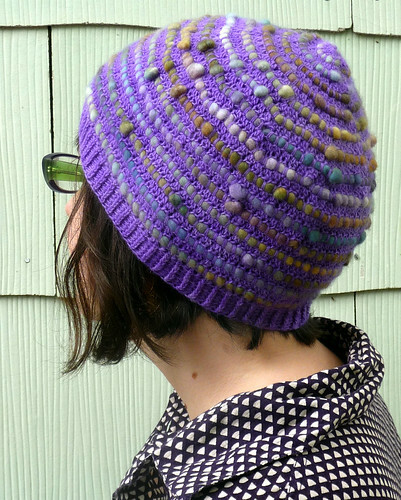 First up is my Pebble Hat. 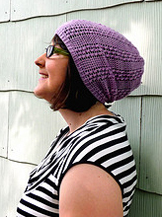 I really love this hat, and although I usually let my samples live at Yarnivore, I have a feeling this one will stay with me. 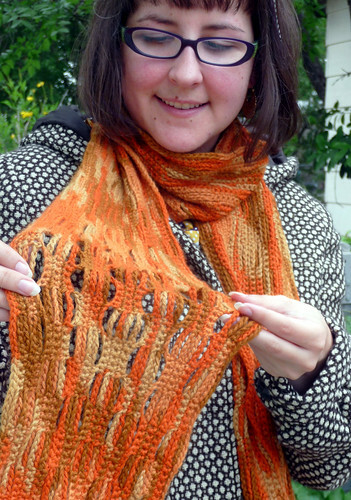 The crocheting is very simple, using lace weight Malabrigo, but, you use a special technique to crochet over the big chunky Rasta yarn in order to get the woven look. 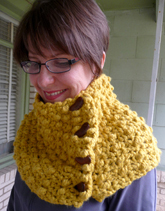 It’s super soft and lightweight but also really warm and textured. I first thought of this design after spinning my first (and at this point, only!) 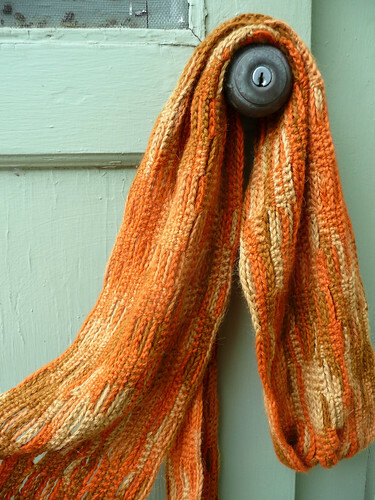 handspun skein. 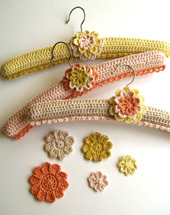 Since crochet takes more yarn, I wasn’t sure I could come up with a one skein project. 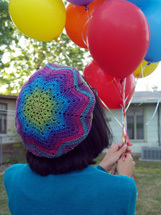 Plus, I can’t really wear chunky woolens in TX–and this hat solves both problems. It’s sized to measure 18″ and 20″ at the brim, unstretched–to fit 20-21″ and 22-23″ heads. 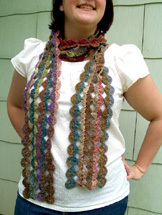 Second is another very simple meditative project, the Shredded Scarf. 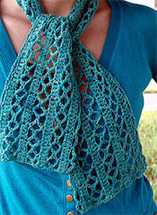 Again this has a woven like texture, but it is created with a very simple, easy to memorize pattern. 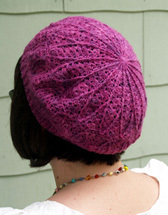 I wanted to create something solid but drapey, and that wouldn’t look too patchy in variegated yarns. I originally swatched this in Noro and Mountain colors (for color-changing fun) but the Artesano Alpaca shown here was lovely to work with as well–it’s nice and lightweight, and sooo soft. 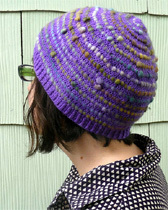 So many yarns are designed for knitting with their color repeats, so I stuck to short stitches to make this design work. This pattern is accompanied by a stitch diagram that I made while testing out some crochet charting software (here’s hoping there’s more of that!). Both are a good way to dive into your stash and prepare for fall. 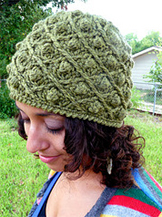 Even though it is so very hot here in South Texas, I am still thinking fall. A girl can dream, can’t she? 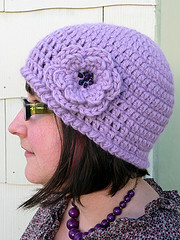 Ooh, the Pebble Hat is adorable. Lovely patterns both of them! You are a genius. The hat is so cool. 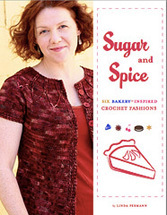 What a great combo of yarn. 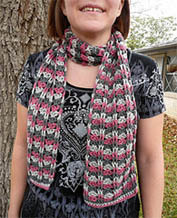 I love the woven like texture of the scarf.